Always in search of the next craft project (hello there, pinterest!) I discovered the wonderful thing that is quilting in spring of 2014. My lovely mum and also lovely boyfriend had collaborated earlier that year on gifting me a sewing machine as a combined christmas and birthday gift (anyone who’s born into the orbit of the holidays can relate to the ups and downs of it – this was a definite up!). I wasn’t interested in sewing clothes at that point and was a bit at a loss where to start with sewing in general. I was so happy to learn about quilting, it’s just my thing. I love the math involved, the seemingly endless possibilities to combine fabric, patterns, colours and of course the snuggly quilt you get out of it. My quilting journey started with a straight head to the library where I borrowed all.the.books (as a student this was my thing). I have since gotten to know the wonderful world that is the online quilting community, especially on instagram. When I’m not working on or thinking up a crafty project (let’s be honest, usually it’s the latter) I’m a 27-year-old juggling life with an M.Sc. Architecture degree under her belt. I currently live in Karlsruhe, Germany with my boyfriend of seven years and our Spanish rescue dog Lupa. 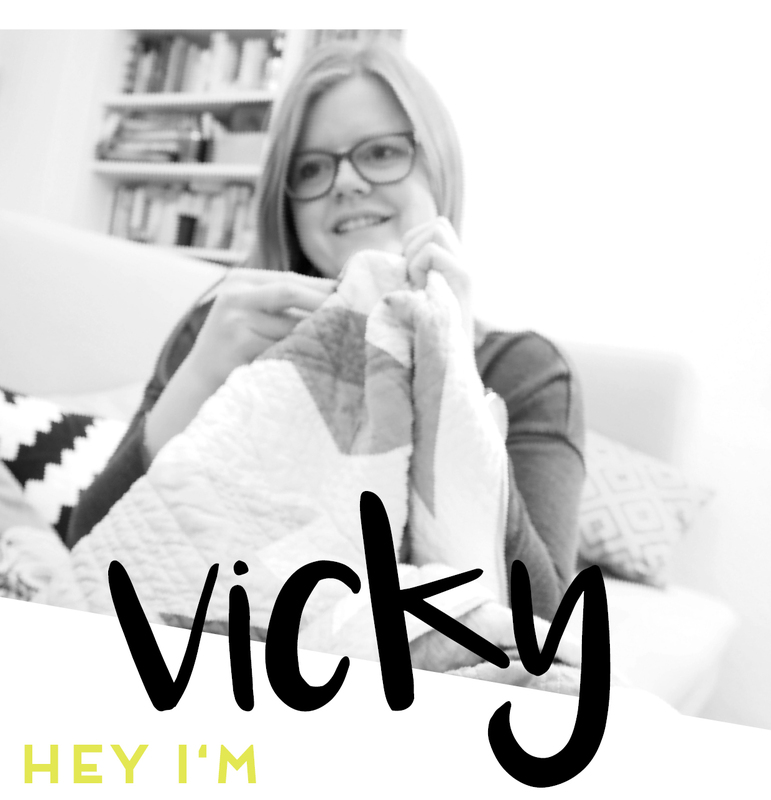 Hi Vicky – quilting is the best hobby, isn’t it? Just wanted to say thanks for you comment on my blog (you are a no reply blogger). I love discovering new quilting blogs!! Your work is so beautiful! !